A great value! 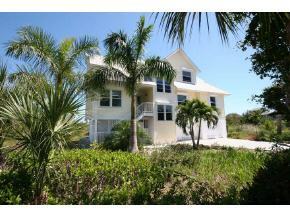 This Old Florida Style, near beach home is a must see. 2001 construction with full hurricane shutter protection. 3 Bedrooms and 2 baths. An oversized 2nd level office with large closet could be a 4th bedroom or part of a master suite. Open and airy with spectacular conservation views from every window. 3 stop elevator gives the ease of one floor living with the advantages of multiple floors. The soaring, natural wood ceiling in the living room enhances the casual feel of this wonderful home. Located in sought after Sea Oats - Walk to Gulf Access 1 through community beach access and only a short bike ride to the new community Rec Center. To View A Photo Gallery Of This Special Home - Click Here! To Check Out a Video Of This Home Please Just Click Here!